So, my last blogging post was written on the hoof (is that the right figure of speech)? But for this one, I thought I'd adhere to the #BEDM calendar, where, today, I am meant to blog out my 5 favourite posts. I'll start with my highest visited post. This one about sugar has to-date had 39,874 page views. It kind of makes me very sad as I lost 3.5 stones in weight in 2001, because I gave up sugar. I KNOW I need to do it now, again, and doing so is even more in vogue than it was (hence the page views) yet I don't seem to have the willpower, so my gout (incredibly painful right foot) continues to debilitate me when I know I could do something about it. In 2001 I cured IBS, PCOS, and gout with a radical change of diet. In 4 months I lost nearly 4 stone. It was like I melted away. I looked and felt amazing. Sugar started to look and taste disgusting. It repulsed me. Relapses weren't possible once I lost the taste for it. I even gave up alcohol ENTIRELY for 8 months and only drunk again, in practice for my hen night! I know what I need to do. Blogging folk all around me are embarking on the Paleo diet. I NEED to do something and soon. The gout is getting worse, not better. And, now that Aaron's riding a big boy bike, we'll be here there and everywhere. I was walking behind him and his new bike for 90 minutes when I collected him from nursery this evening. What defines me really, as a blogger, are my "days out" posts. So I think my next 3 will be those. 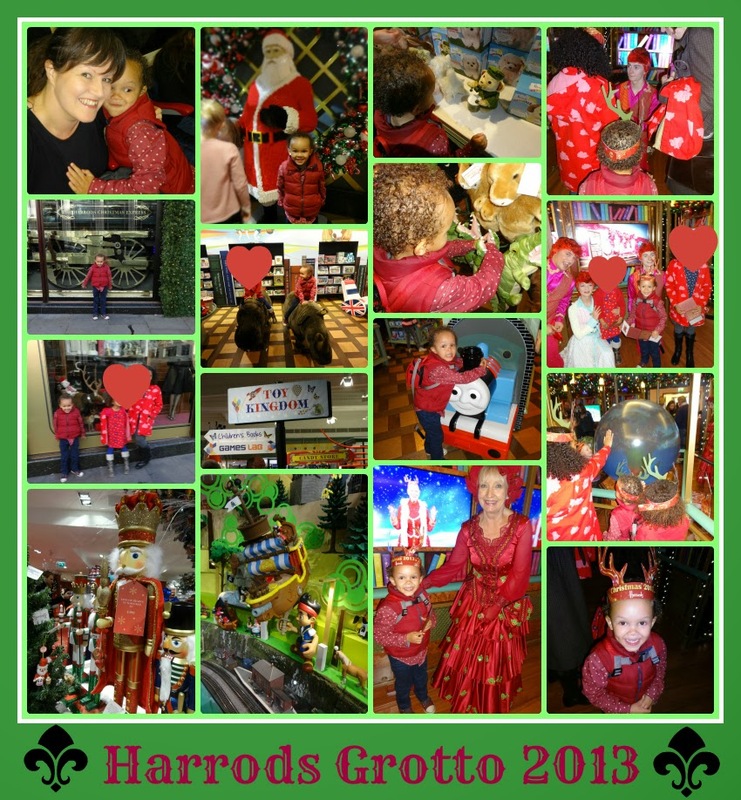 My Harrods' Santa post was enjoyable to write, and I just love putting collages like that together. I cannot do a "my favourite five posts" post without mentioning this one. It's had nearly 20k page views and is Aaron's ALL TIME FAVOURITE PLACE TO GO. 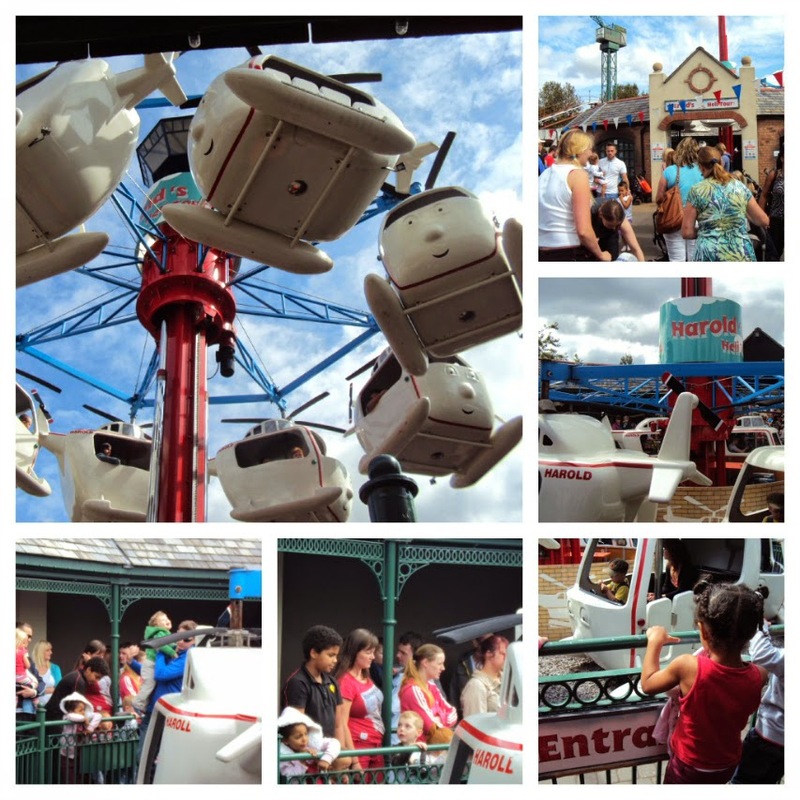 Thomas Land at Drayton Manor. It's from 2012 and we've been twice since then, so I really ought to do a new post. I have WAY better videos and photos from our more recent visits. We are yet to go in 2014 though. Two of the times we have gone we've stayed in the hotel which I can highly recommend. Off (Theme Park) season it is a corporate (business people) hotel, so as long as you go there not expecting Butlins, you'll be fine. 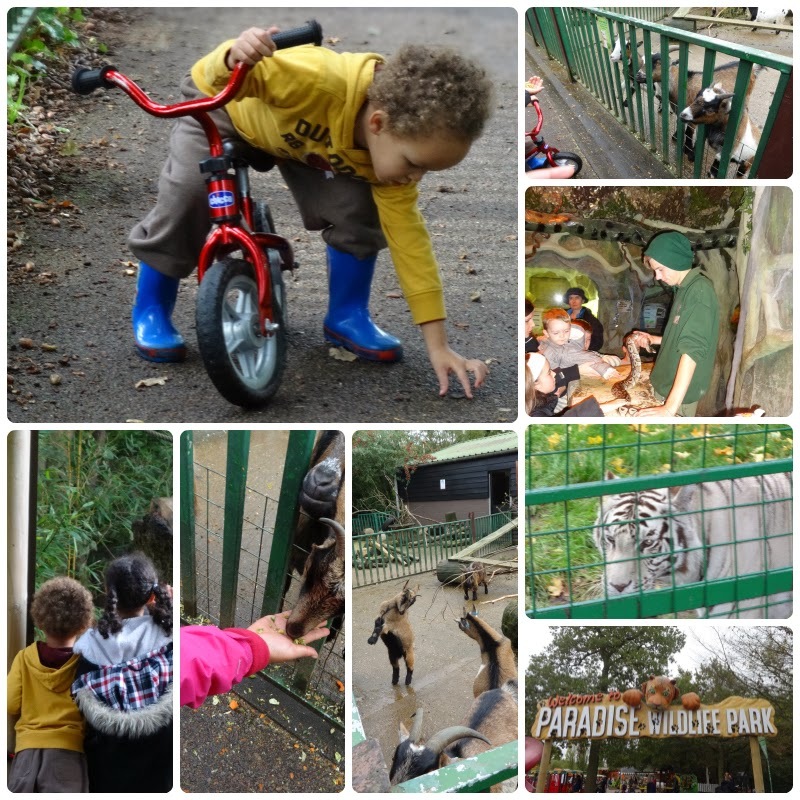 Paradise Wildlife Park is another favourite place of ours. We've had quite a few good times there. Like with Thomas Land, we have had one of Aaron's birthdays there. The best blogs are the ones where the blogger really opens up, draws you in, and shares something personal with you. The time I did this the most was in this post: Opening The Door To the Secret that Is PND. I only wish I could write like that more often. Those are all great posts. Amazing what sugar can do to your body! Thomas Land looks awesome, we have never been but I think it'll be on the list now - I know S and D would love it.